A skiing area with wide, sunny slopes in wonderful Sarntal valley – Reinswald is the perfect place for nature lovers, relaxation seekers, romantics and sun-loving skiers. The idyllic family skiing area Reinswald is situated in Sarntal, just about half an hour from the regional capital Bozen. 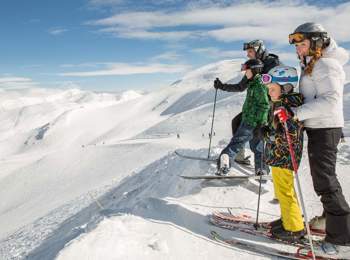 A gondola lift, a chairlift and two draglifts take ski fans to nearly 2,500 m above sea level. There, you will look forward to mainly moderate slopes. The longest slope is 3.7 km long and is with its 900 m of height difference, ideal for European Cup ski races. Jochpiste slope, in fact, is the steepest challenge in Reinswald offering a partial section with 58 % descent. As it is the case with other skiing area in Western South Tyrol, Reinswald is part of Ortler Skiarena ski area association, with many other slopes for beginners, advanced and professional skiers. The ski school in Reinswald offers courses for all levels, child assistance and much more with professional instructors. 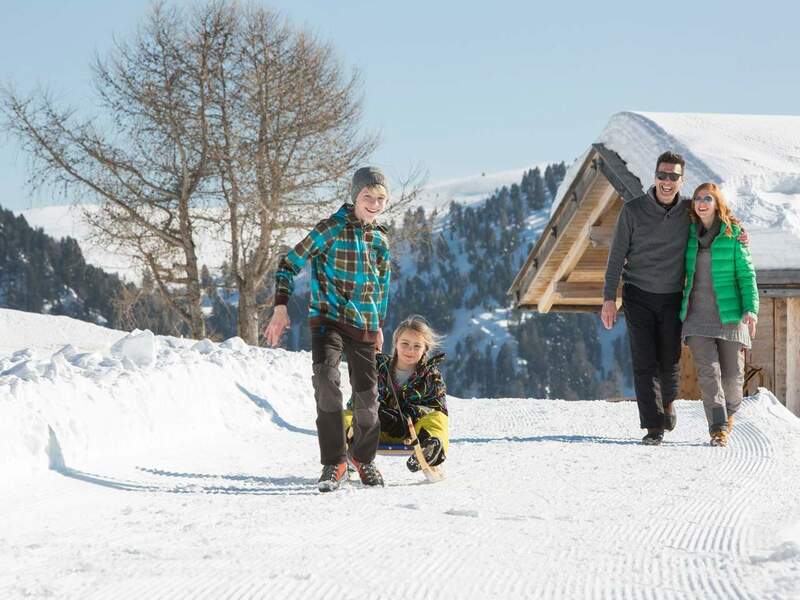 The family-friendly skiing area in Sarntal offers free access to children up to eight years. As well, teenagers benefit from reduced prices. The valley station of Reinswald gondola lift awaits you with a winter playground for kids. Be it building a snowman, hiding in a tunnel or sliding down a hill – snow fun is guaranteed. In addition to demanding slopes and easy ones for beginners, in Sarntal also toboggan lovers will feel fine. The 4.5 km long natural toboggan run is one of the longest runs in Italy. During full moon, it is also open by night. South Tyrol’s first toboggan park is the perfect place for learning how to behave on a toboggan. The winter program in Reinswald also includes traditional ski and mountain huts, romantic snowshoe hikes, ski mountaineering night tours once a week, perfectly prepared cross-country ski runs as a well as a snow park with various obstacles, medium line and easy line.